With the development of the Internet and the gradual popularization of smart phones, Africa, the world's last blue ocean market has been opened, the African e-commerce will be full of infinite vitality. 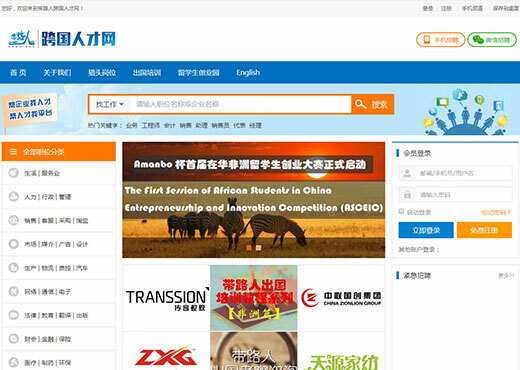 In this context, as the Ministry of Industry and Information’s key project for Africa, Amanbo focuses on "channel, brand, data" three core competitive forces, is committed to build a comprehensive Internet service ecosystem that focuses on Africa, which takes the Africa import and export cross-border e-commerce platform as the core, covering China-Africa logistics service platform, China-Africa payment platform, China-Africa human resources service platform, China-Africa investment and cultural services platform. According to the "OSO" (ONLINE + SOCIAL + OFFLINE) online and offline integrated marketing strategy and the "network, brand, localization, precision" four landing strategies, Amanbo will continue to build and optimize network platform, drive traffic online and offline simultaneously use social marketing tools to quickly promote and deeply dig user value, finally to form the business mission of “building the large road to Africa” and become the leader of African cross-border e-commerce and the local e-commerce in Africa. Taking the Country and Site Mode, relying on African local warehouse, to create the unique B2B2C all-category local distribution platform for every African countries. The platform has wholesale, retail, cross-border wholesale and retail, local distribution, with the Amanbo offline experience shops in African countries, ADP franchise shops (wholesale and retail shops on the market) Amanbo marketing partners (AMP), through online, social and offline (OSO) integrationmarketing methods, to build the innovative local commercial distribution platform in African countries. Amanbo continues to improve the construction of the regional network, trying to achieve coverage of more than 90% of Africa's population, the following countries are already opened. Amanbo is the B2B cross-border e-commerce platform that focuses on Africa. It was established by Shenzhen Right Net Tech Co., Ltd. in 2015, which based on its 17 years of experience in China-Africa trade. Amanbo has many functions, such as online mall, online transaction, inquiry processing, business information, order management and so on. 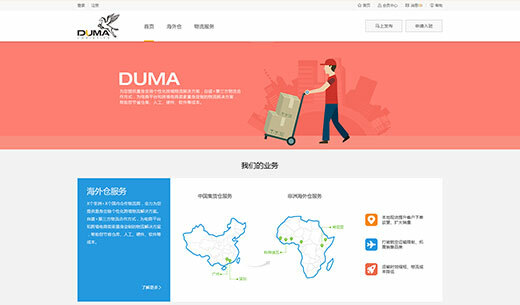 Combined with China and African local professional management team, allowing users to easily reach China and Africa cross-border wholesale, procurement and other transaction needs. As of May 2017, the number of platform users has reached nearly 10 million yuan and monthly turnover has reached 30 million yuan. Amanbo Africa import mall is an online mall that specifically provides African imported goods, providing both “spot sales” and “overseas purchasing” services. “Easy to buy goods in Africa”, Amanbo Africa import mall provides a convenient and professional trade market for many African importers, at the same time, it provides the customers both high-quality and low-priced goods that are much lower than the wholesale prices of other channels in China, or high-end African goods rare appear in the domestic market, and you can overseas purchase any you need (legal) African goods. Wood carvings, painting, wooden furniture, nuts, blankets/shawls/scarves, national characteristics clothing, handicrafts, African tambourines, moringa seeds, sea coconuts, agropyron seeds and other goods originating from Africa can be overseas purchased. Professional African trade logistics platform to customize the personalized African cross-border logistics solutions for you. Self-built logistics combines third-party logistics cooperation for the e-commerce platform and cross-border e-commerce sellers to save the costs of warehouse, labor, hardware, software and so on. In the context of the Chinese Belt and Road Initiative and China-Africa cooperation has entered a new era of comprehensive strategic partnership, in order to spread the China-Africa culture, strengthen bilateral communication, promote two-way cooperation, in 2016, Amanbo and Peking University African Research Center set up the China-Africa Sustainable Development Center to fully serve China-Africa sustainable development! 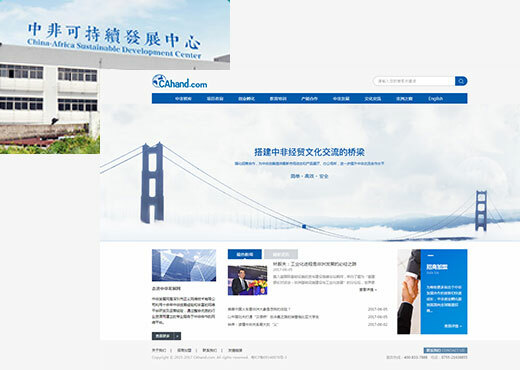 CAhand is the website of China-Africa Sustainable Development Center that serves for China-Africa cooperation and development. Established in 2016, covering the China-Africa think tank, project consulting, business incubating, education & training, capacity cooperation, China-Africa development, cultural exchange and window of Africa sections, providing diverse services including think tanks support, information delivery, consulting services, information exchange, charity and expert columns, etc., contributing its strength for the Chinese Belt and Road Initiative and and China-Africa comprehensive cooperation and development. With the gradual stabilization of African politics and the growing economy, more and more multinational companies began to enter Africa, and therefore a group of proficient professionals in the African market was born. However, in recent years, the development of international demand for multinational talents in Africa is also expanding and diversified, and many multinational companies are paying more and more attention to the proficient professionals in African market. Shenzhen Guider Net Tech Co., Ltd. follows the current trend of demand for transnational talents in Africa, fully using the global trade, science and technology, culture and superior resources of institutions. The aim is to help more outstanding transnational talents to show their talents, through recruitment, training, management consultant and other business modes.